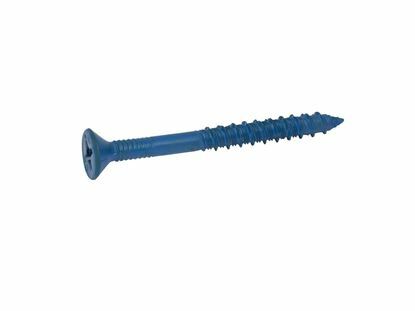 The Tapcon® 1/4" x 5" (five inches) Flat Head standard blue are packaged 100 pieces per box with one free bit included. 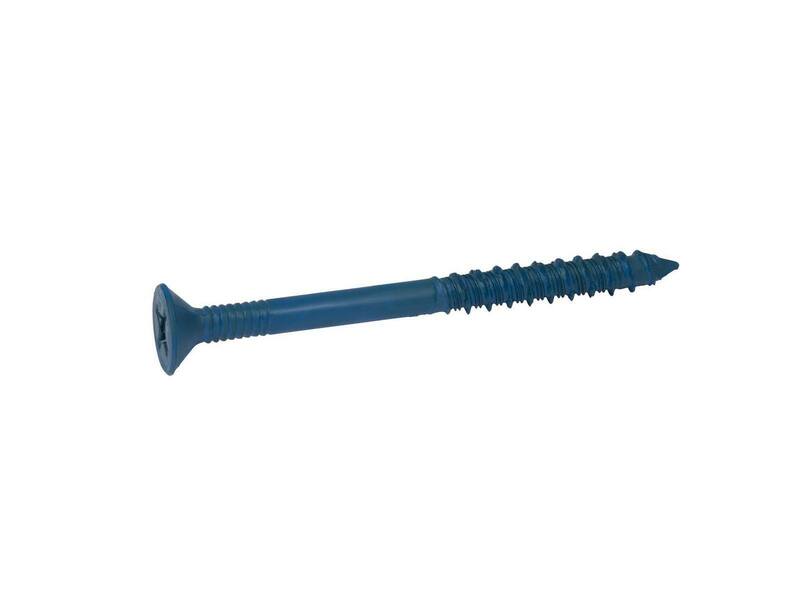 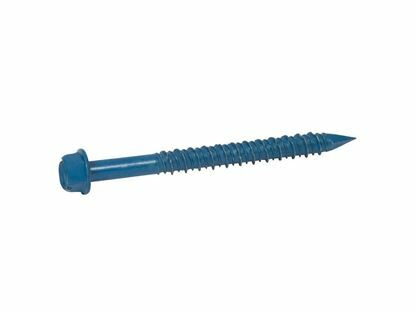 They are a versatile masonry fastener that can be used in concrete, brick or block. 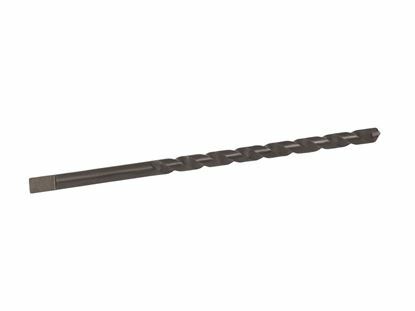 Every order will ship directly from the Cleveland, Ohio warehouse for delivery in 1 to 3 business days. 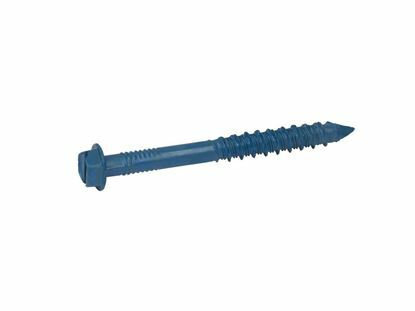 The maximum fixture thickness or the maximum thickness of the material being fastened for a anchor is 4". 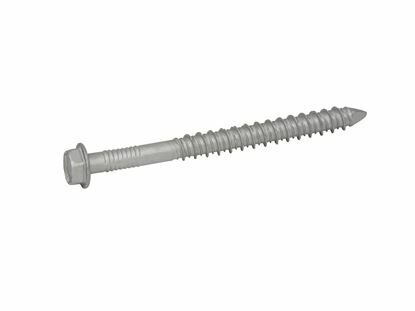 This will ensure that the minimum embedment of 1" will be met.